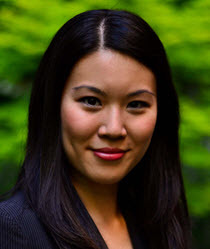 Tiffany Ma is currently a Nonresident Fellow at NBR. She is also Senior Director, BowerAsiaGroup. Ms. Ma previously served as the Director of Political & Security Affairs at NBR, where she directed program management and project development for the Political and Security Affairs team. In addition, she served as the Project Lead for several initiatives, including the People’s Liberation Army Conference, U.S.-China Relations in Strategic Domains, Asia Maritime Security, Mapping Pakistan’s Security Dynamics, and Approaching Critical Mass: Asia’s Multipolar Nuclear Future. Prior to joining NBR in 2013, Ms. Ma was a Research Associate at the Project 2049 Institute, an Asia policy think tank in the Washington, D.C., area. She has also worked at the International Crisis Group in Beijing; the Center for Strategic and International Studies in Washington, D.C.; and the Refugee Council of Australia in Sydney. Her research interests include Asian security, U.S.-China and cross-strait relations, and the Arctic. Ms. Ma holds an MPP from the Harvard Kennedy School, where she was also a Public Service Fellow and a Belfer International and Global Affairs Student Fellow.